Being overexposed to the harmful UV rays of the sun or tanning lights can get your skin burned. The skin damage it can cause is long lasting and wrinkle inducing. Aside from that, you can also be at risk of developing melanoma, an aggressive type of skin cancer. As we all know, prevention is better than cure. 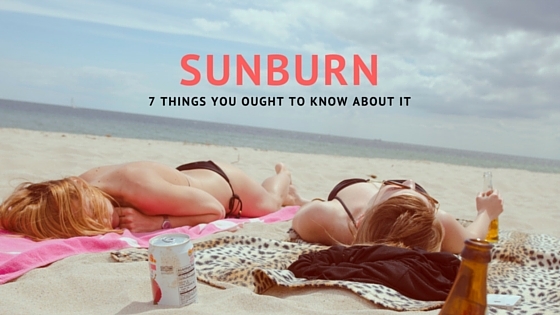 But in instances that you weren’t able to avoid getting a sun burn, here are seven helpful tips to minimize the pain, prevent an infection, soothe your badly burned skin, and hopefully avoid getting sunburned in the future. 1. Assess how bad the sunburn is. If you think that your sunburn is worse you can’t do home medication, seek medical attention right away. 2. Take in some pain reliever. As soon as you see the surefire signs of sunburn, take in an aspirin or Ibuprofen immediately. They will help reduce the pain you feel as well as the redness and swelling that can possibly occur. Depending on how bad the sunburn is, they may or may not be able to help in reducing inflammation. Take a cool bath or shower. Make sure to keep the water temperature to lukewarm to slightly cold. Instead of brushing the towel over the body part with sunburn, opt to air dry or pat it gently to avoid further pain on the skin. Then apply a moisturizer (lotion or cream) that has glycerin or aloe and is rich in Vitamin E and Vitamin C to help soothe the skin a bit. You can also apply a hydrocortisone ointment or cream for a couple of days. Get a wash cloth or a towel and dampen it with cold water. Apply it over the body part with sun burn for around 20 to 30 minutes. You can also use a cold milk compress to speed up the process of relieving the inflammation. Wearing tight and fit clothes will make your skin feel “suffocated”. Allow it to breathe so the healing process will be fast, too. It’s highly suggested to wear loose clothing like baggy jeans and t-shirts, especially on areas that were sunburned. Put on cotton instead of synthetic fabrics to avoid irritation. Drinking lots of water helps restore your energy. You can also try eating fruits with rich water in them like grapes, watermelon, honeydew lemon, and cantaloupe. Additionally, you can hydrate with a sports drink. 7. Avoid future instances of getting sunburn. Minimize the times you will be exposed in the sun. If you need to be back out in the sunshine, make sure you wear a hat matched with clothing that covers your skin. Bringing an umbrella won’t hurt, too. More importantly, don’t go out in the sun without wearing sunscreen with an SPF of 30 or higher. Reapply it as needed. As much as we want to avoid sunburn, there are times it still happens. So to avoid it from getting worse, treat it the moment you notice the tell-tale signs. 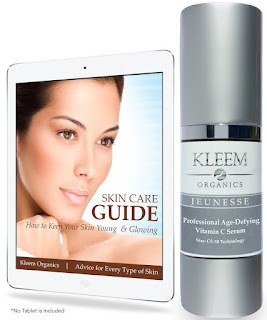 Anti-aging Vitamin Serum. Perfect 5/5 Rating on Amazon. What Does Your Acne Tell About You? Face Value. Powered by Blogger. Face Value is a participant in the Amazon Services LLC Associates Program, an affiliate advertising program designed to provide a means for sites to earn advertising fees by advertising and linking to amazon.com.